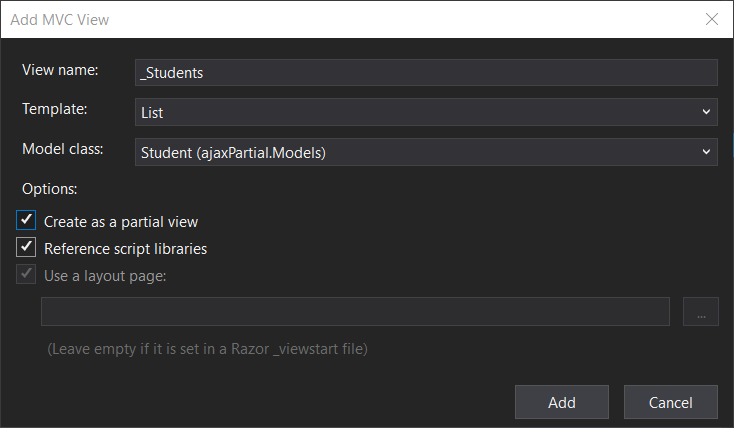 This article is going to describe how to show a partial view when a button clicks. 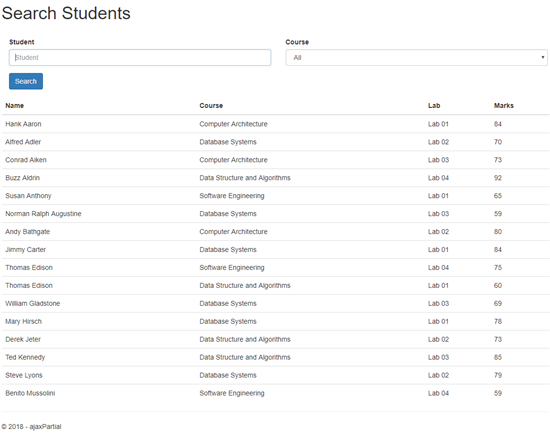 The sample application shows the search form with all the students records. When search button clicks, it's going to only render student list from students partial view, search form is not getting rendered again. 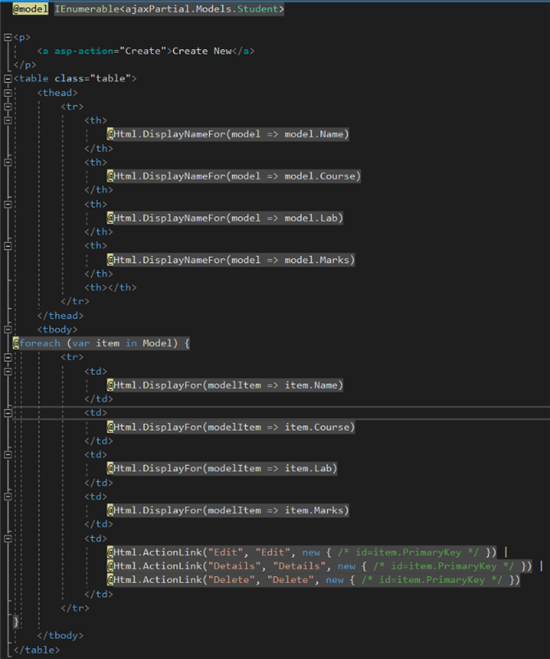 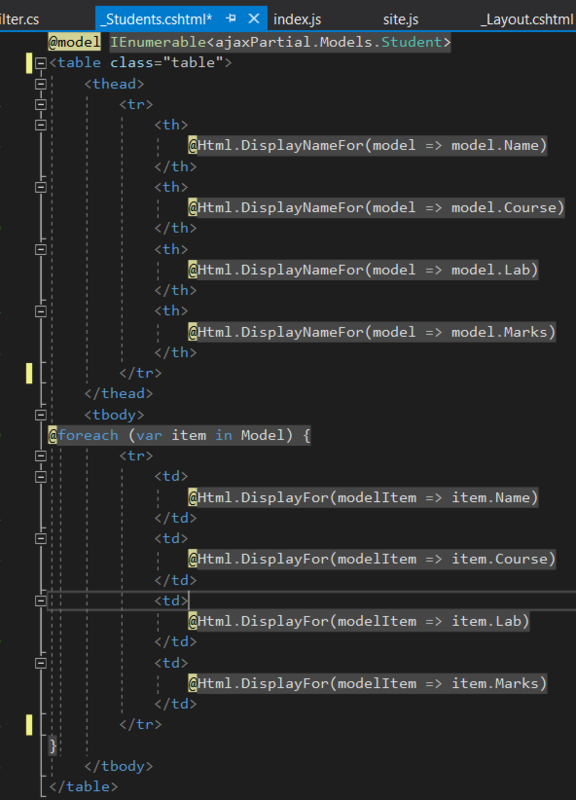 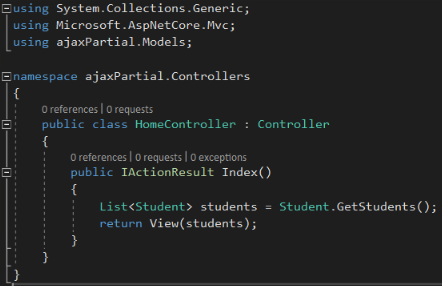 This is a small example of how to load a partial view for a user action using ajax request.You can use this as a sample and handle a more complex scenario. 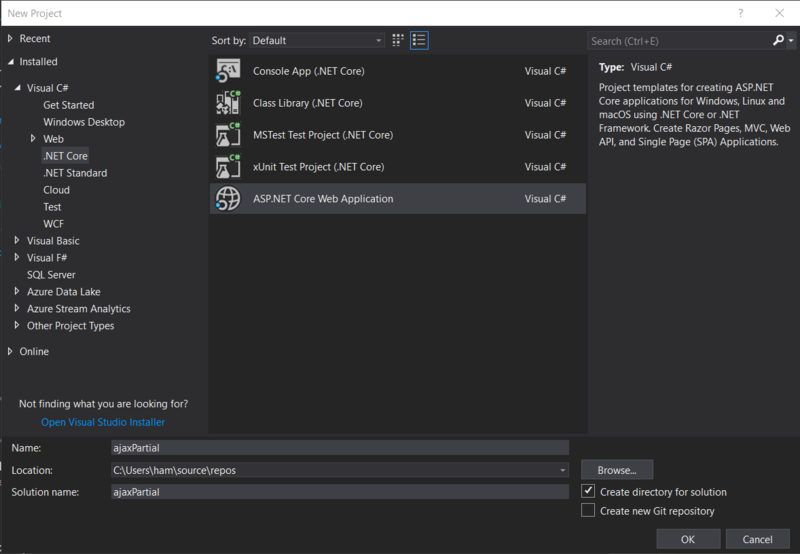 Say Hello from .NET Core application in a Linux server,.NET Core with a Linux server: Hello World! 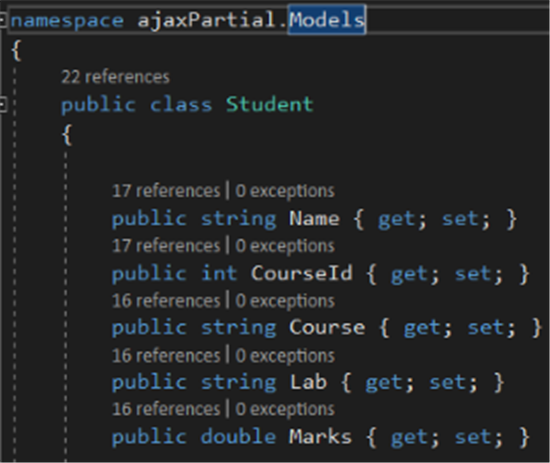 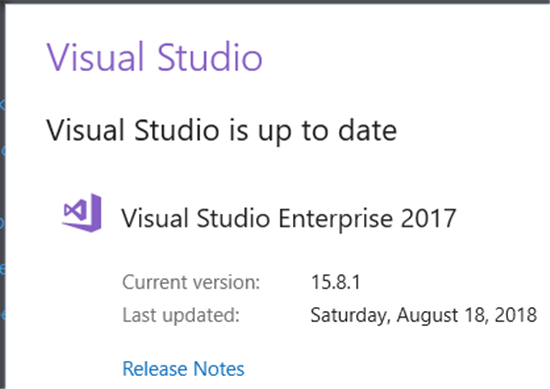 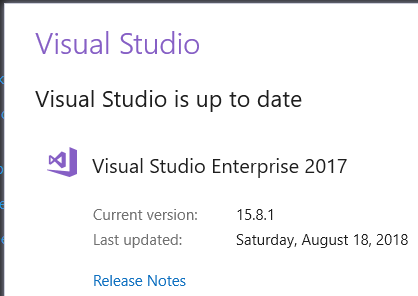 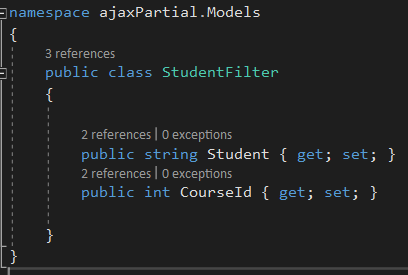 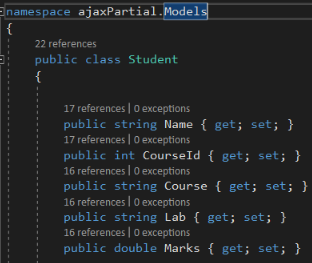 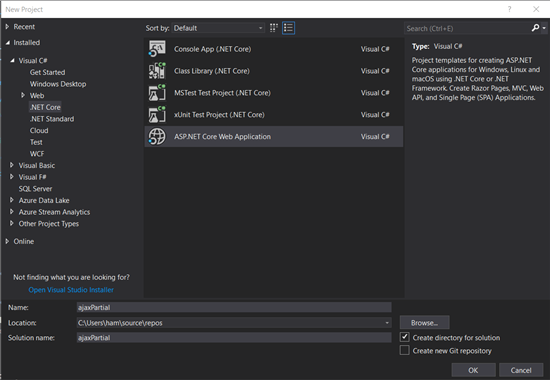 Let's create a ASP.NET Core project from Visual Studio, Let's check what is the Visual Studio version in your development environment, if it's not up to date, will update it to the latest version. 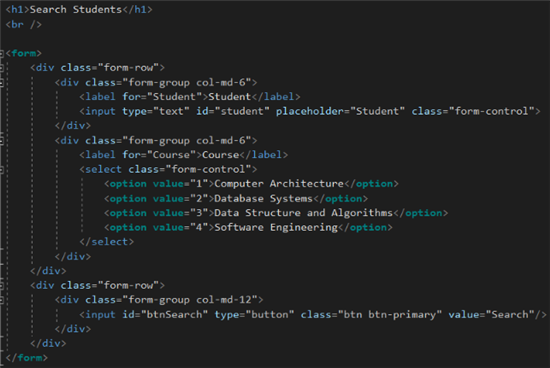 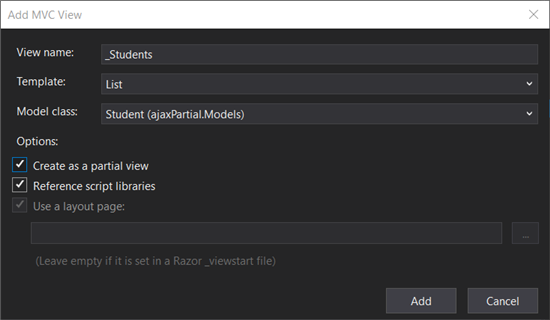 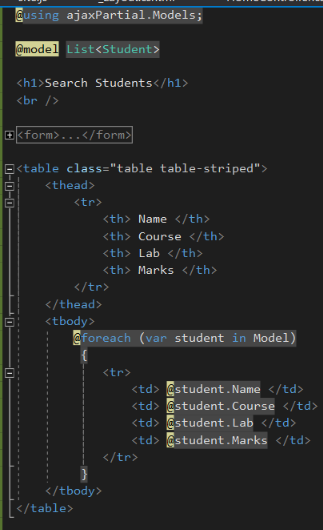 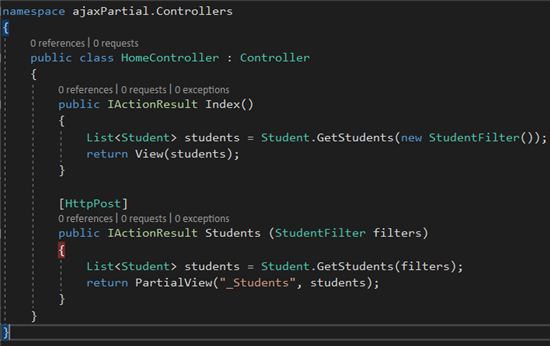 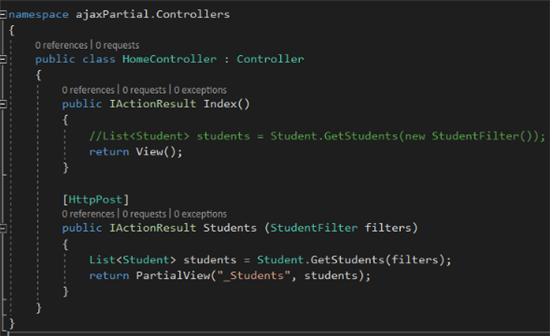 Go to HomeController and change Index method to get the list of students and pass it to the Index view. Let's run the application, you can see a search form and a list of students as below. When we click on the search button, we want to fetch students according to the search criteria. 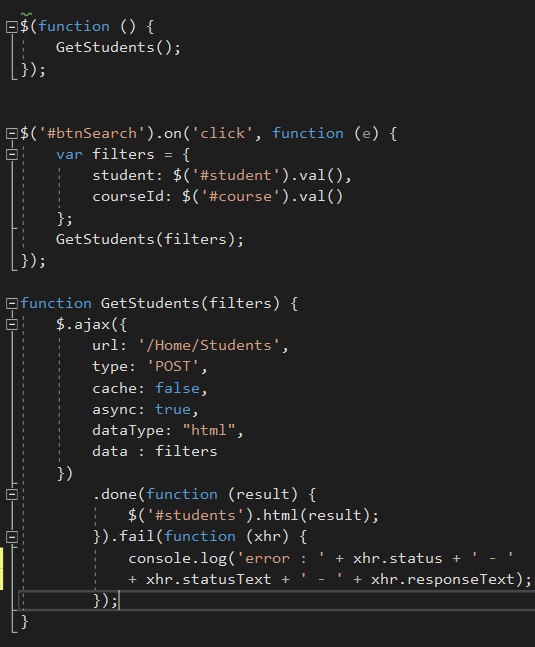 You can find two ways to do that, load whole page when a button clicks or else refresh only the student list, the search form will not be rendered again. 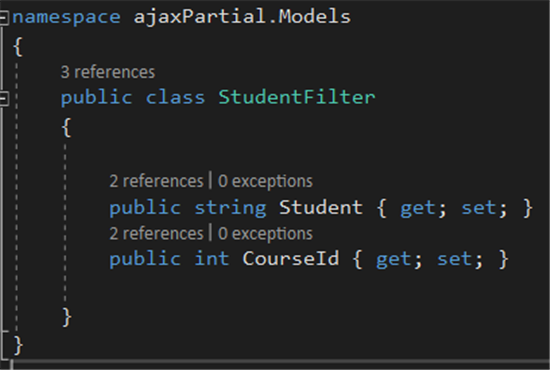 We can do that by passing an ajax request and loading a partial view. 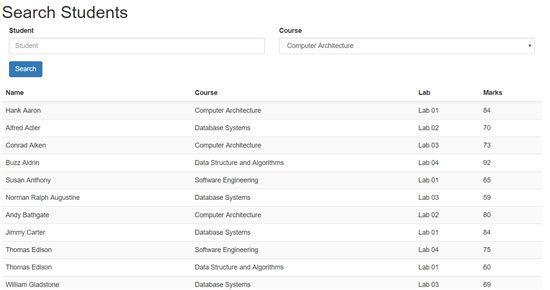 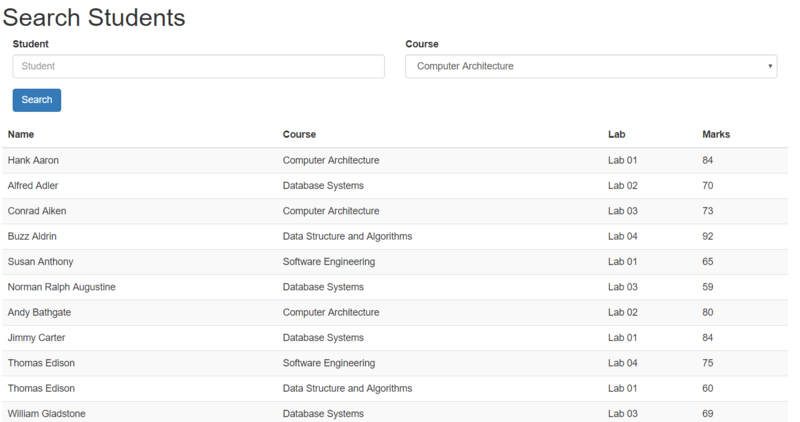 When clicking on the search button, we can issue an ajax request with student text box and course drop-down values. 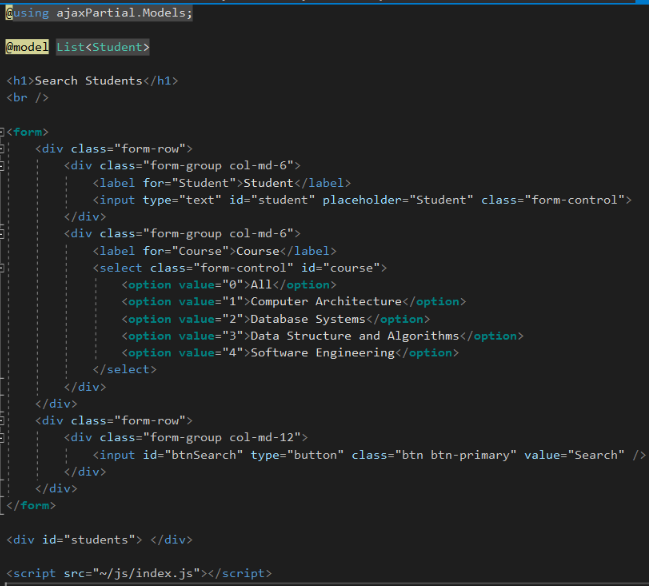 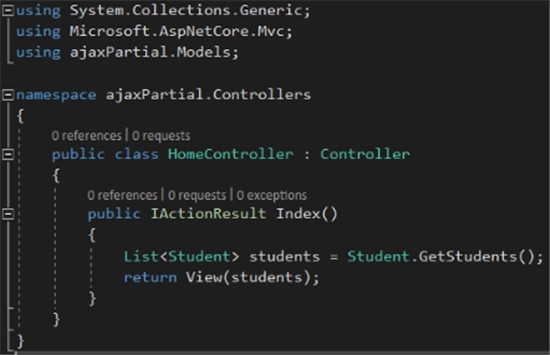 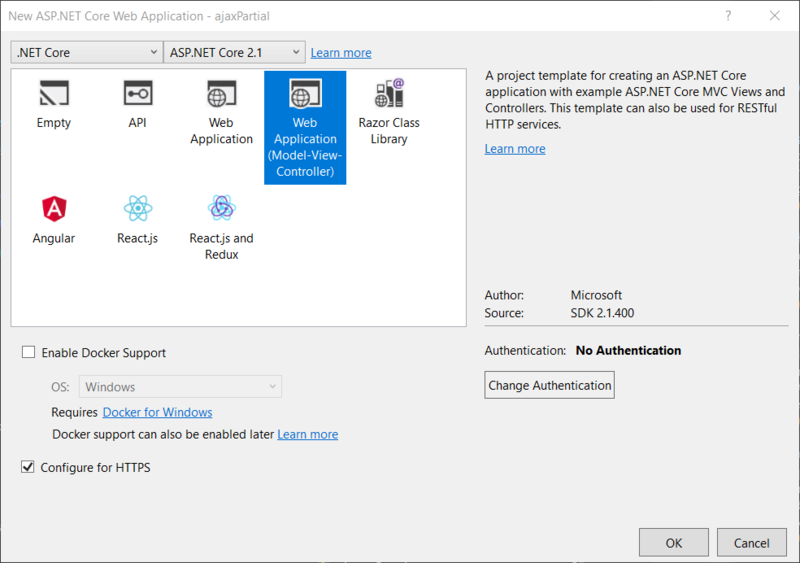 In this article, we used ASP.NET Core MVC to develop an application and load a partial view when a button clicks. In the main view, the search form is not getting rendered again when search button clicks, it only renders the partial view from an AJAX request.